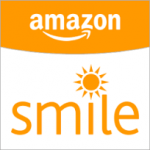 Every time you want to buy something on Amazon, simply go to http://smile.amazon.com instead of the regular amazon site. It’s the same stuff, except they donate a percentage to your non-profit (choose Nightlight). Credit card rewards. 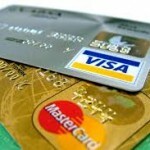 Some credit cards allow you to donate your reward points to charity. See if your credit card offers this option, and search for Nightlight Christian Adoptions. Making a hotel reservation? Your next hotel stay can financially benefit Nightlight! It’s true. If you make your next hotel reservation through CharitableHotels.com/nightlight you receive discounted hotel rates, similar to other hotel websites, and Nightlight receives a financial donation! It’s a win-win! Give it a try the next time you’re making travel plans. Thank you! When you sell on ebay, you can select a non-profit to donate any percentage of the sale you choose. See more here: http://givingworks.ebay.com/charity-auctions/charity/nightlight-christian-adoptions/55530/. Also, check for items being sold by Nightlight, or by sellers contributing to Nightlight. Donate your used car to www.cars4causes.net and select Nightlight as your recipient. 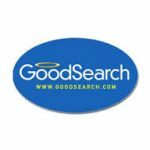 Search the web with www.goodsearch.com. Set this search engine as your homepage, and select Nightlight as your recipient. Every time you search you raise money for us. If you make donations through United Way, you may designate that your donation be directed to Nightlight by requesting a Donor Choice Form from your United Way coordinator. Under “Special Care” write Nightlight Christian Adoptions.